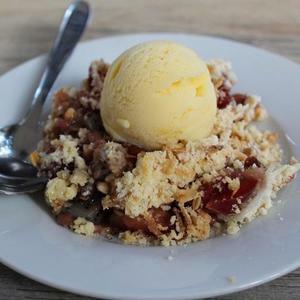 A delicious mixed fruit crumble which is not only tasty but is super easy to make. The fruits taste amazing with the buttery crust. Serve with vanilla icecream and you are in heaven.